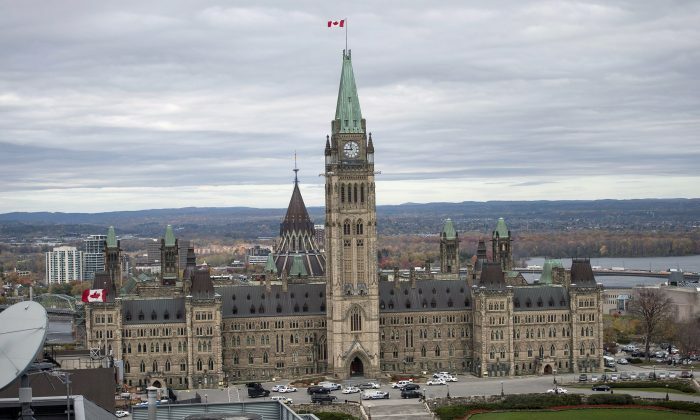 Michael Zehaf-Bibeau has been identified as the suspect in the shooting at Parliament Hill in Ottawa, Canada on Wednesday. 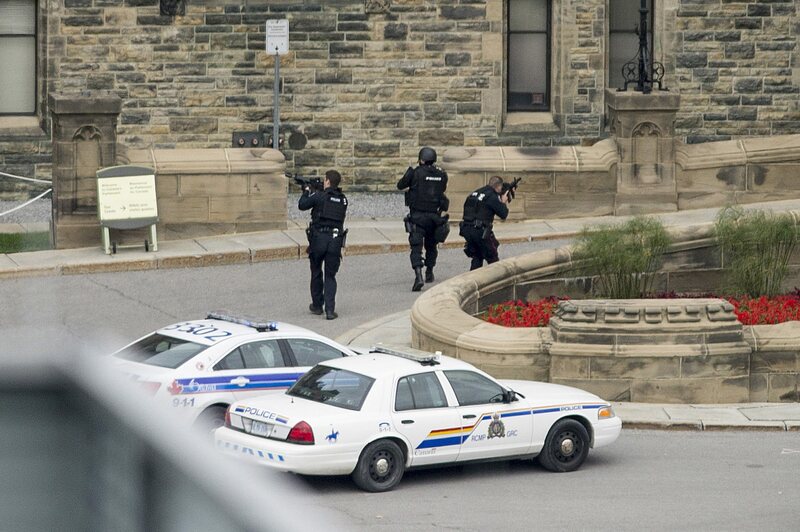 Zehaf-Bibeau shot a soldier at the National War Memorial before entering the Centre Block and firing off more shots. Epoch Times reporter Matthew Little says that the shooter got as far as the library before Sergeant-At-Arms Kevin Vickers shot him dead. The soldier,later identified as Nathan Cirillo, was rushed to a hospital but later died. There are at least three other shooting victims who survived. U.S. officials revealed Zehaf-Bibeau’s identity to CBS News. CBC said soon after that it had confirmed the identity. The officials say Zehaf-Bibeau is a Canadian who was born in 1982. Sources told the Globe and Mail that Zehaf-Bibeau was recently designated as a “high-risk traveler” and that the government seized his passport. Reporter Domenic Fazioli said that during his time in Montreal, Zehaf-Bibeau was arrested five times–three times for drug possession and twice for parole violations. The Vancouver Sun said Bibeau was charged in Vancouver for an unspecified crime in 2011. While Bibeau was killed, there is reportedly at least one other suspect at large. 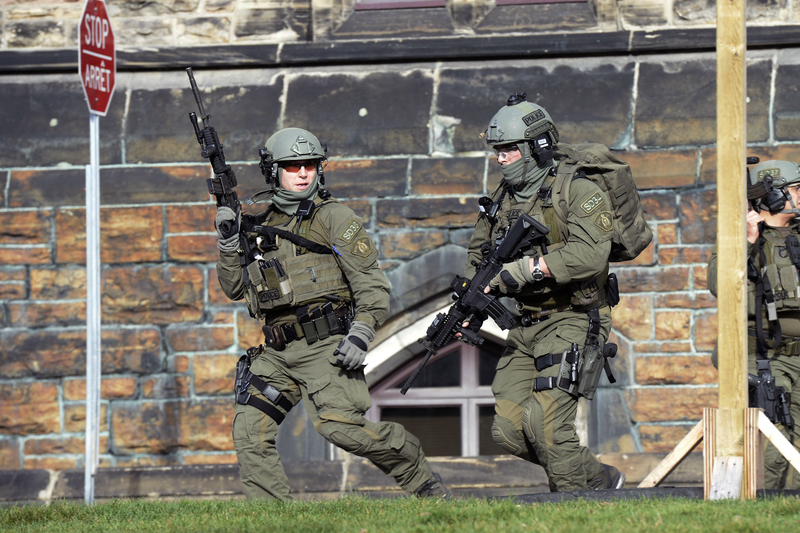 Ottawa police spokesman Chuck Benoit told CBS that two or three gunmen may have been involved. No motive has been identified for the attacks, although some are linking them to an ISIS-related incident on Monday. A picture allegedly showing Zehaf-Bibeau emerged on Twitter soon after the identification, but hasn’t been confirmed. A witness told Reuters that the gunman was dressed in all black with a scarf over his face. 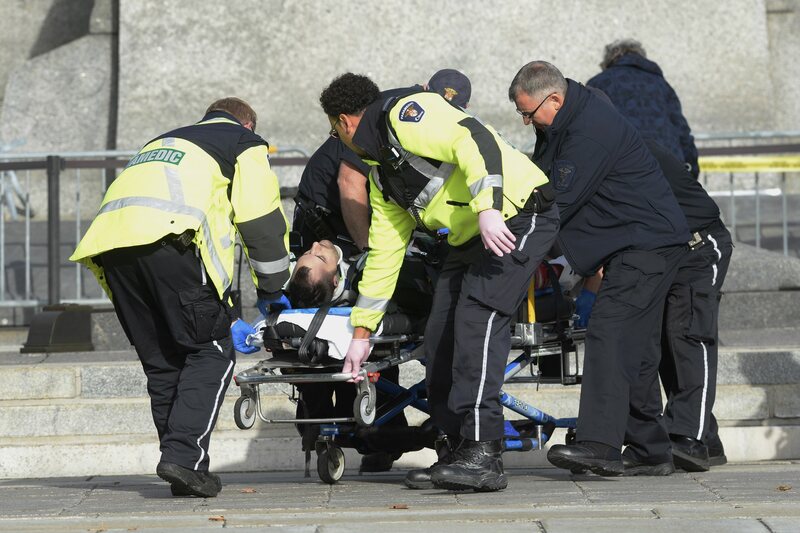 Tony Zobl, 35, told the Canadian Press news agency that he witnessed the soldier being gunned down from his fourth-floor window directly above the National War Memorial, a tall granite cenotaph, or empty tomb, with bronze sculptures dedicated to those who died in World War I. “I looked out the window and saw a shooter, a man dressed all in black with a kerchief over his nose and mouth and something over his head as well, holding a rifle and shooting an honor guard in front of the cenotaph point-blank, twice,” Zobl said.